We Got To See Creed II! 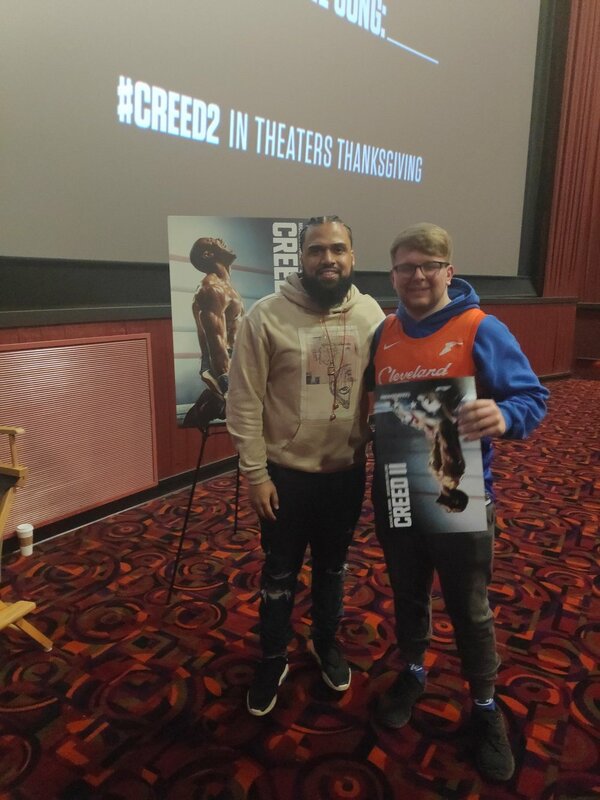 Last Thursday our Black Valve Media team members, Kalim and Evan got a chance to see a special screening of the film, Creed II at the Cinemark at Valley View. They even got a pictures with director, Steven Caple Jr, who’s a Cleveland native himself! The Land was a film directed and written by Caple Jr. back in 2016. "Each one of those cities as their own identity. Overall, for the tone of the film, we wanted to keep certain identities alive and distinct for each one, but at the same time, we wanted to have this sort of grounded-ness," Caple told WKYC in an interview about the Creed sequel. The film officially premiers today in theatres.